Neue Werkstoffe und Nanotechnologie sind wichtige Innovationstreiber, um Technologien im Bauwesen ressourcen- und energieeffizienter zu gestalten sowie den Komfort und Nutzwert von Gebäuden zu steigern. Die Präsentationen der Veranstaltung sind jetzt online im Internet verfügbar. A Loughborough University research team has won research funding from the Institution of Occupational Safety and Health (IOSH) to examine the health and safety considerations of nanotechnology. 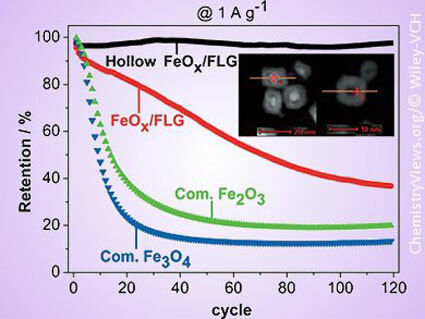 Researchers have developed a template-free synthesis for hollow and yolk-shell iron oxide nanoparticles sandwiched between few-layer graphene sheets. 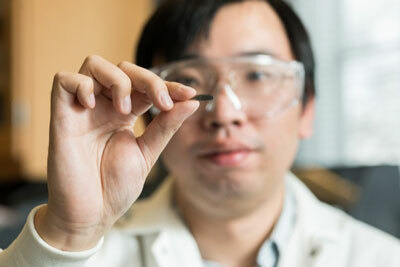 The material's properties were evaluated as negative electrode material for lithium-ion batteries. 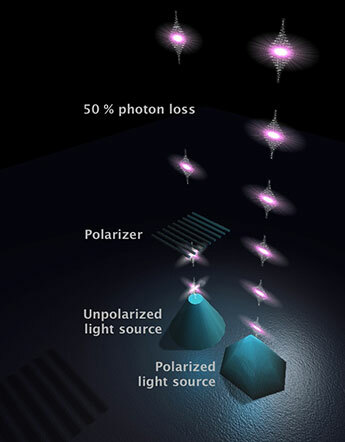 By emitting photons from a quantum dot at the top of a micropyramid, researchers at Linköping University are creating a polarized light source for such things as energy-saving computer screens and wiretap-proof communications. A team of researchers at the University of Delaware has developed a highly selective catalyst capable of electrochemically converting carbon dioxide to carbon monoxide with 92 percent efficiency. The carbon monoxide then can be used to develop useful chemicals. 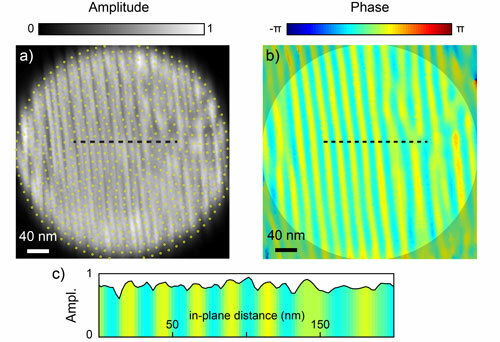 Researchers have used Bragg projection ptychography, or BPP, for imaging local polarization in ferroelectric thin films. Silver is used increasingly often as a bacterial agent in clothing and hygiene products, but there are conflicting opinions as to its effects on people and the environment. According to researchers at Chalmers and Gothenburg University, the use of environmental assessment methods could clarify the points of this debate. A new X-ray method will enable the development of more efficient catalysts. The method opens up new opportunities to work on atomic level in a number of areas of materials science. Researchers from Lund University are among those behind the new method. Researchers investigated the oxidative response of both Ag and Mo nanoparticles by using differential pulse voltammetry. 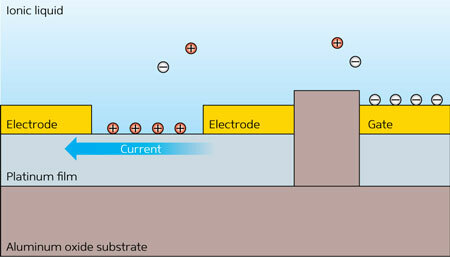 After identifying the individual responses, the two materials were combined on a single electrode for simultaneous detection. 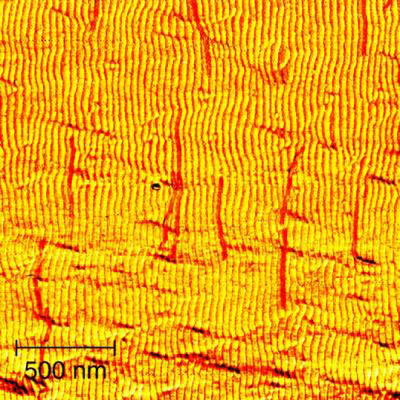 Ultrathin platinum films become magnetic when subjected to an electric field. Plasmonic nanoparticles developed at Rice University are becoming known for their ability to turn light into heat, but how to use them to generate electricity is not nearly as well understood. Scientists at Rice are working on that, too. They suggest that the extraction of electrons generated by surface plasmons in metal nanoparticles may be optimized. 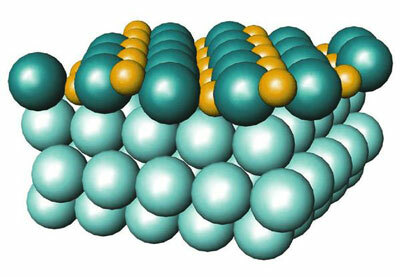 Researchers observe a catalyst surface at work with atomic resolution. An international research group led by the University of Bristol has made an important advance towards a quantum computer by shrinking down key components and integrating them onto a silicon microchip. Researchers have come up with a simple strategy which combines DNA origami with self-organized pattern formation. 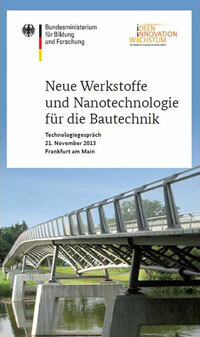 A new high-level book for professionals providing an overview of nanotechnologies now and their applications in a broad variety of fields, including information and communication technologies, environmental sciences and engineering, societal life, and medicine, with provision of customized treatments. 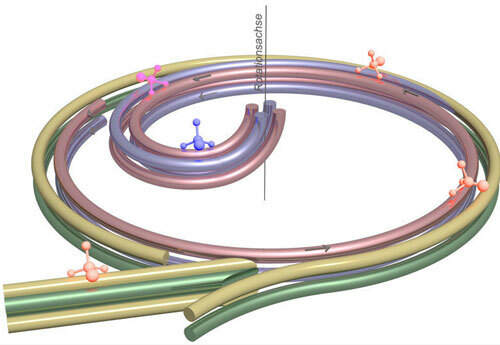 Using centrifugal force to decelerate particles creates new opportunities for chemistry and quantum information processing.